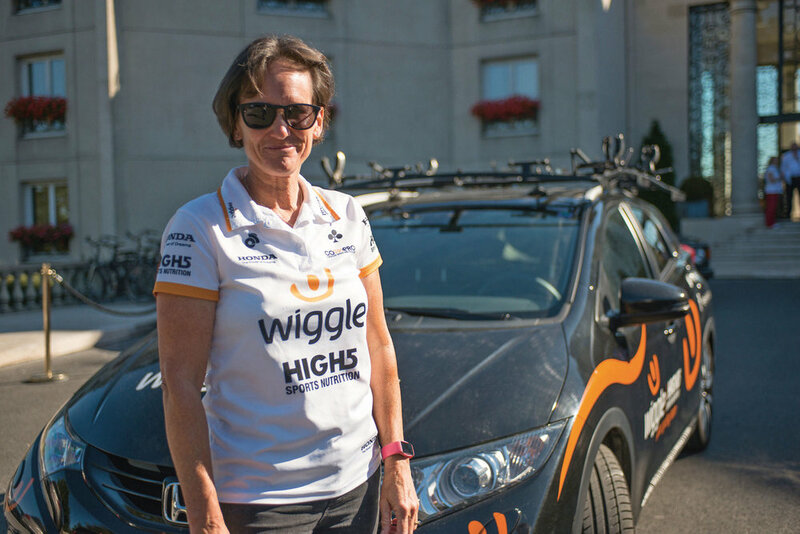 It was her step-father David Dicker who gave her the key to handling the big decisions involved in setting up the Wiggle High5 team back in 2013: “Take the emotion out of it.” By making calculated decisions and blocking out the emotions associated with making the ‘right’ decision, Gilmore believes she has achieved success for her team. As a rider, Gilmore followed the advice, “when you think you’ve done enough, do a little bit more,” and she’s carried that strength and determination into her managerial career. Currently the number one ranked team in the world, with the number one ranked rider in Italian Elisa Longo Borghini, Gilmore admits that she has faced some tough choices in building her talented British-registered squad. “The right decision for my team, company and organisation was not always necessarily the best decision for all involved,” she says. “I learnt to weigh up the calculated positives versus negatives and make the right decision without letting emotions persuade me to make a decision I wasn’t confident in, which is easy to do when you’re influenced by emotions,” she says. For all her steel as a businesswoman, Gilmore still feels the tug of the road. In sport you win or lose, she has said, but she misses that sense of clear cut success in business. Donna tells us that behind the effortless performances of the Wiggle High5 team lies a proficient staff team who perform at the same level as the riders and a team mantra of ‘having each other’s backs’: “I want the riders to trust their team mates, to know they have each other’s backs, and it’s the same with the staff.” Donna tells us she has very clear expectations about the need to focus on process. “If you only focus on winning a race, you don’t focus on what you need to do to win a race, and on creating an environment where people are willing to do that extra bit, to have a go and excel. It’s clear that such a supportive environment is addictive – Georgia Bronzini, due to retire at the end of last year, will instead ride another season. “I told her to tell me what she wanted and I’d give it to her,” Gilmore candidly told the media at the time. With Wiggle High5 at the top of the Women’s World Tour tree, it’s also clear that a culture of having people’s backs is one that cultivates success.